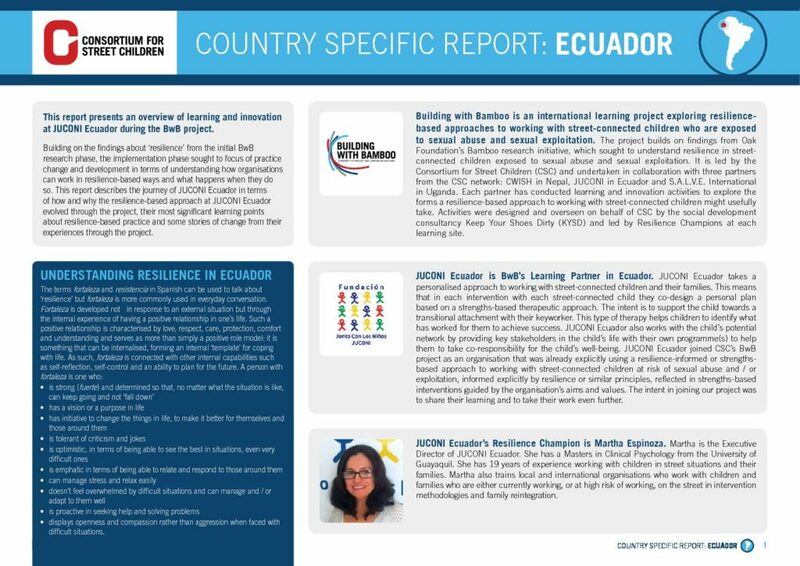 This report presents an overview of learning and innovation at JUCONI Ecuador during the BwB project. Building on the findings about ‘resilience’ from the initial BwB research phase, the implementation phase sought to focus of practice change and development in terms of understanding how organisations can work in resilience-based ways and what happens when they do so. This report describes the journey of JUCONI Ecuador in terms of how and why the resilience-based approach at JUCONI Ecuador evolved through the project, their most significant learning points about resilience-based practice and some stories of change from their experiences through the project.